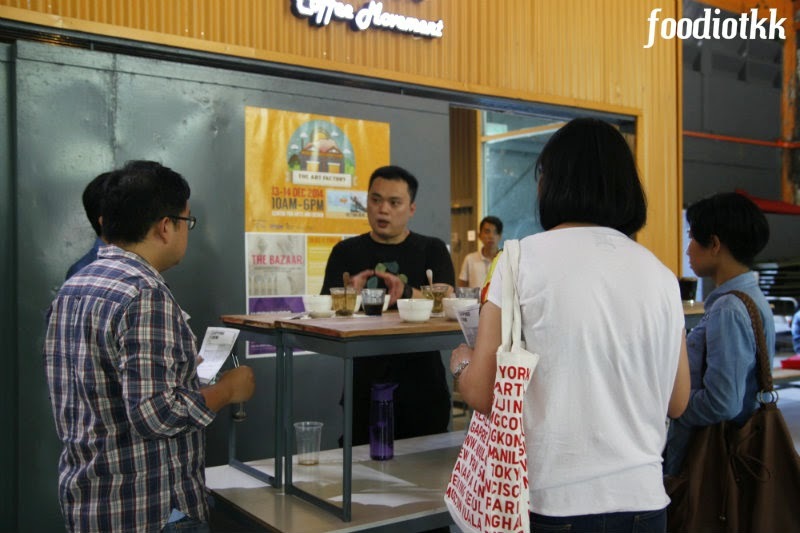 I will try to share with all of you as much as I learnt during the Coffee Cupping Session (one of the workshop organized for The Art Factory 2014) with INCH Coffee Movement. 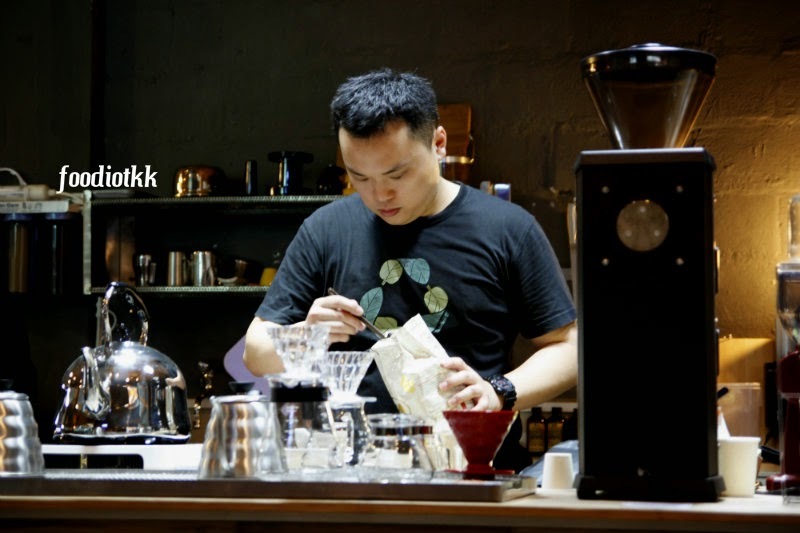 My sifu today is David Lee, he is the Barista and Co-founder of INCH Coffee Movement. 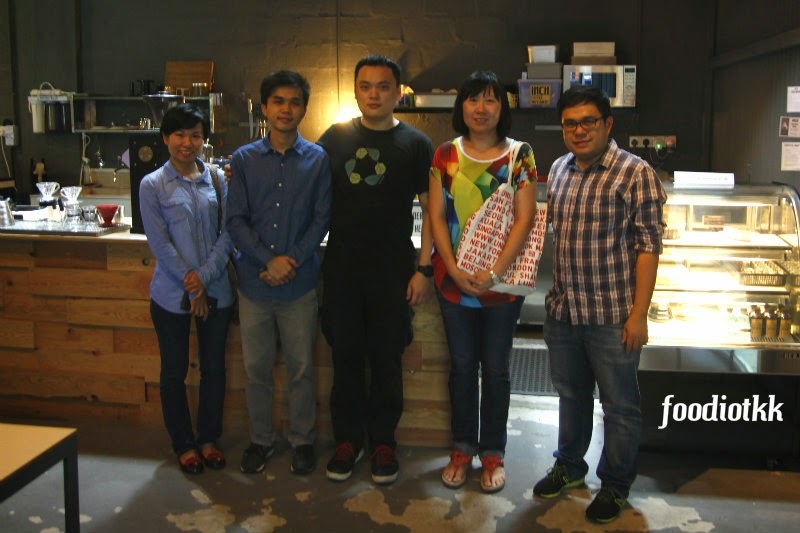 Tomorrow 10AM they are going to have another coffee workshop which will teach you how to brew coffee. If you are interested, just go there tomorrow morning and get yourself registered on the counter! 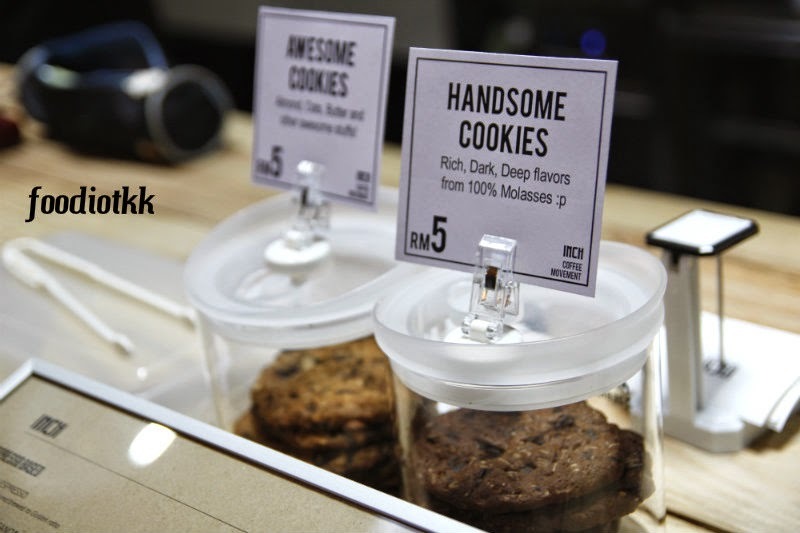 Fee is RM150 per pax and that's included some handouts and the most importantly -- you get to try Specialty Coffee for FREE!!! 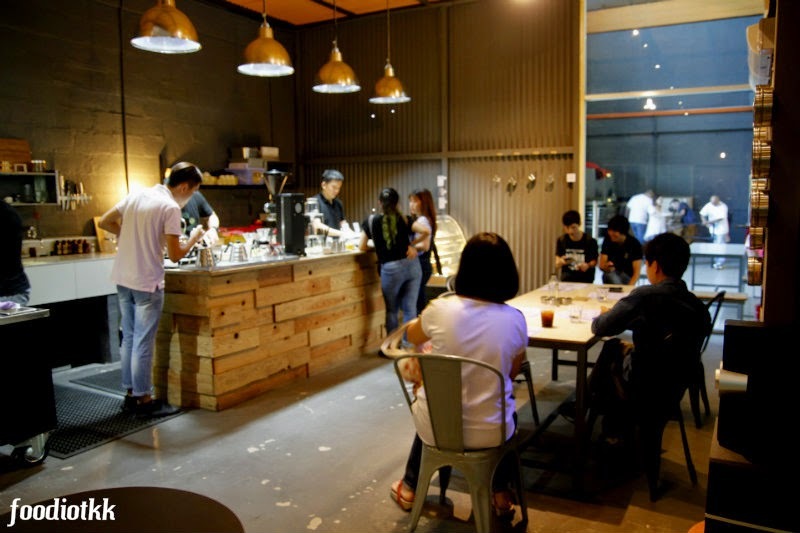 In short, a Specialty Coffee involve a chain of relationship between the farmer, green coffee purchaser, storage, supply chain, roaster, barista and finally, the consumer! Every step/process must be taken care. 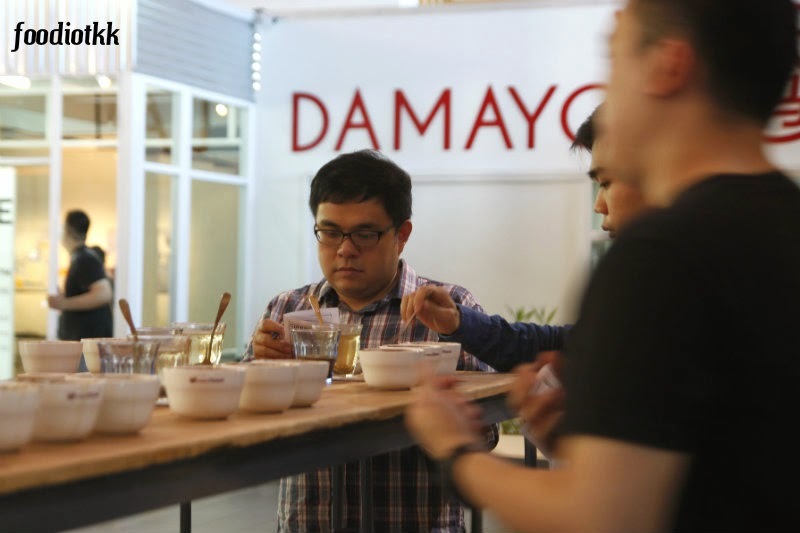 It is important to make sure a high cupping score and expensive coffee bean fulfilled the above criteria before it is called a Specialty Coffee (not to confuse with commercially available - prepacked "Gourmet Coffee" bean). 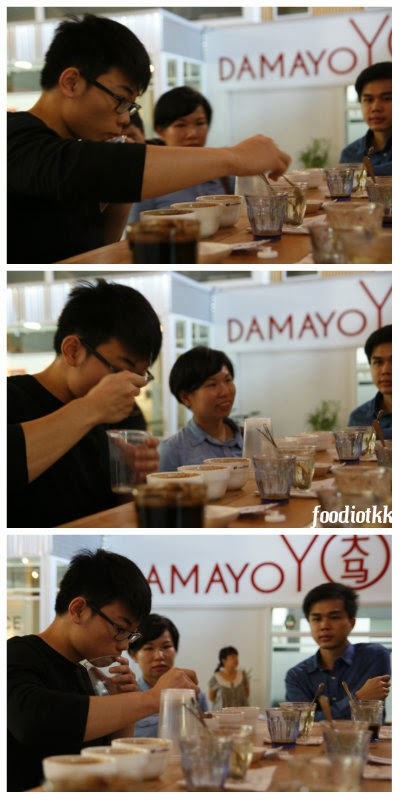 Back to Coffee Cupping. 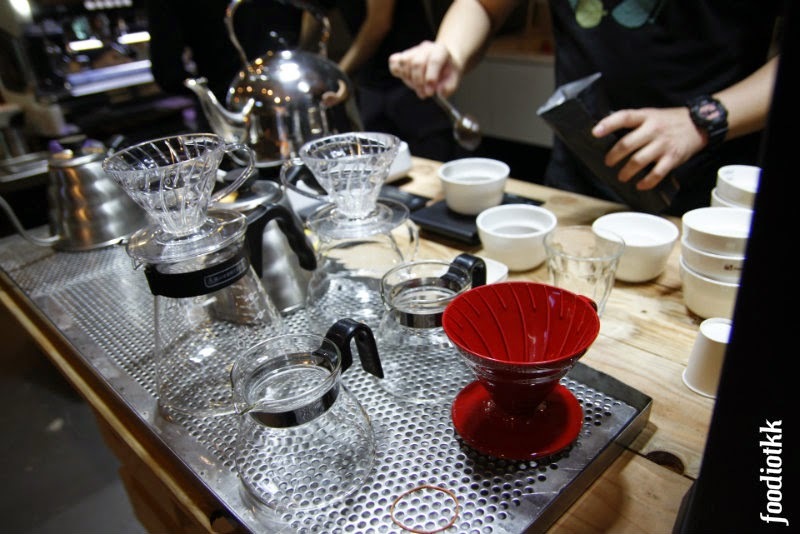 Why we need cupping? 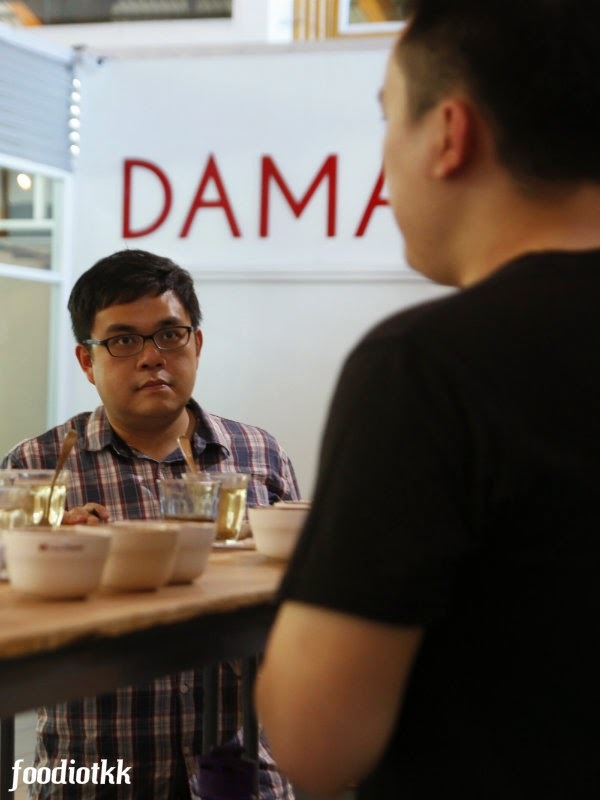 Explained David: Coffee quality can be very subjective based on personal preferences, and it can be inaccurate. 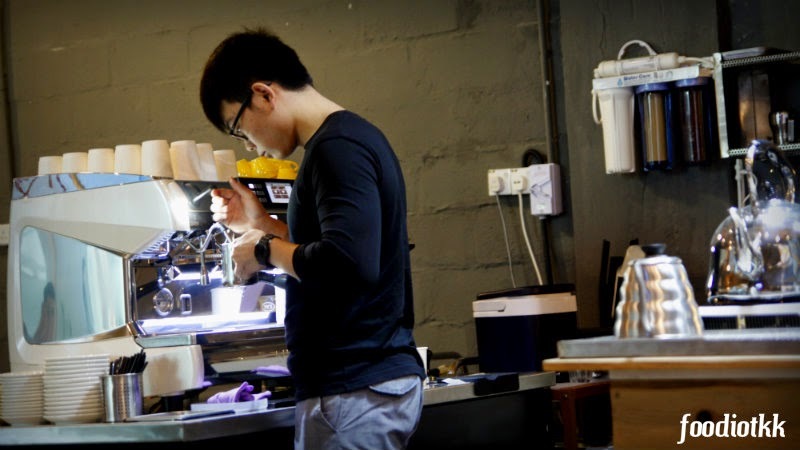 Therefore the coffee quality must be quantified - via cupping. 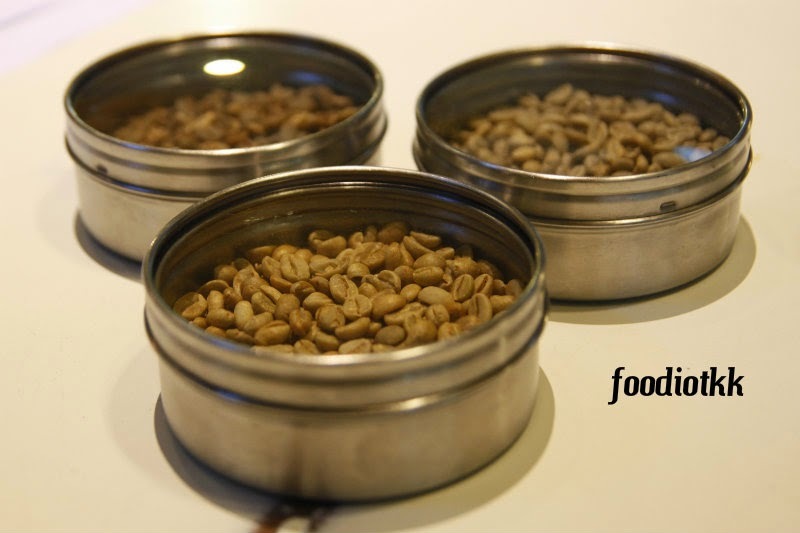 Cupping is an international language to know and to discuss about the quality of coffee - it is like a standard, which the whole world follow. 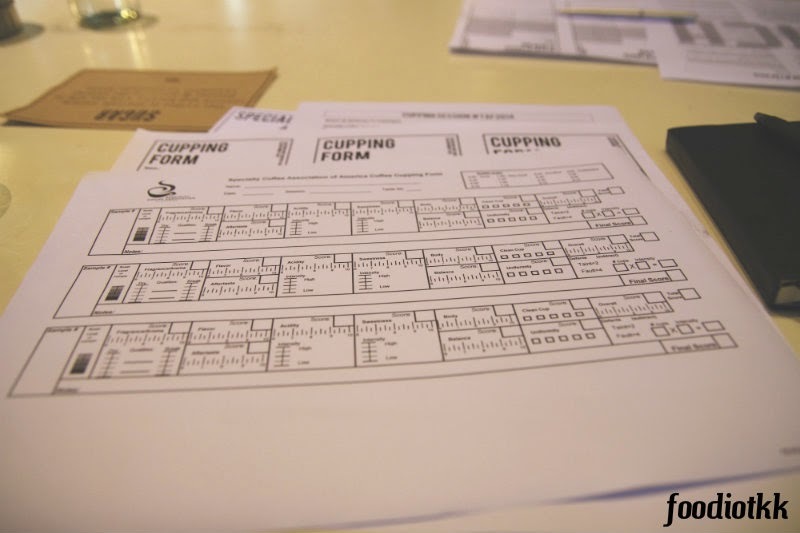 The higer the cupping score (by professional) the higher the quality of the bean as well as price. 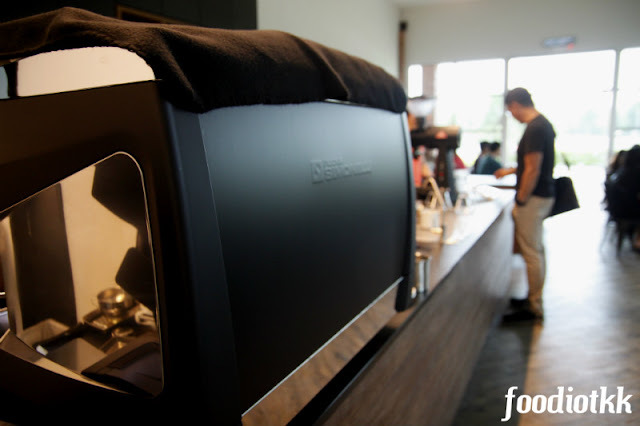 My friend Boon Siong who are a coffee fanatic, recently asked his younger brother to bring back few bags of green beans from Australia which has score of more than 80% -- Specialty Coffee and the bean was home-roasted by him accordingly to bring out the right flavours. The objective is to sprayed the coffee across the entire tongue and nose passage which immediately can tell you the intensity of the senses.